AntikBar is participating in the See USSR exhibition from 7th June to 31st August at GRAD, the new Gallery for Russian Arts and Design in London. This exhibition is the first to be hosted by GRAD and will showcase a country of leisure, comfort and luxury against the widely accepted notion of the striking heroic and industrial imagery produced by the Soviet Union during the 1920-30s. 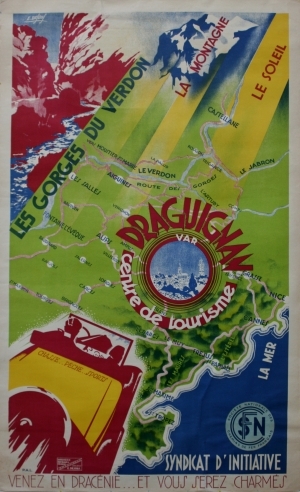 A range of external Soviet publicity such as Intourist travel posters, magazines and other ephemera will be displayed with internal propaganda items including textiles. 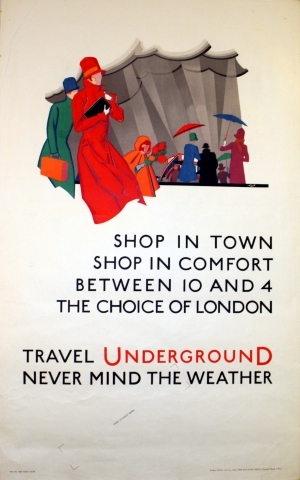 Visit the News & Events page at www.antikbar.co.uk for further information. 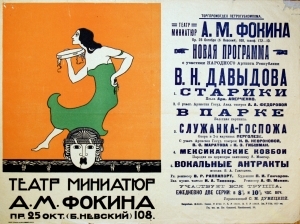 This exhibition has been featured by Deco Mag (June issue) with images of AntikBar’s original Soviet travel posters on display, as well as other London and international art and event listings and print and online publications such as the Antiques Trade Gazette, The Culture Trip and Wall Street International. Voice of Russia’s “See USSR: travel posters from the 1930s” exhibition opening review with interviews and images is available at http://ruvr.co.uk/2013_06_07/See-USSR-life-in-the-1930s/ (images at http://ruvr.co.uk/photoalbum/115319198/), the BBC’s review “In pictures: Selling the USSR as a travel destination” is available at http://www.bbc.co.uk/news/entertainment-arts-23684322 and the CNN’s review “Back to the USSR: Soviet posters on show” is available at http://travel.cnn.com/back-ussr-soviet-tourism-posters-show-909756. In 1925 F. Scott Fitzgerald’s The Great Gatsby captured the spirit of the ‘roaring twenties’ era, becoming recognised as a classic American novel that is now reaching a whole new generation of movie-goers through the current release of Baz Luhrmann’s adaption starring Leonardo diCaprio, Carey Mulligan, Joel Edgerton and Tobey Maguire.